Premium, galvanized roll-form frame assures strength, durability and long life. Available in 30'W and 35"'W with six different lengths to suit all growing needs. Custom lengths are available. 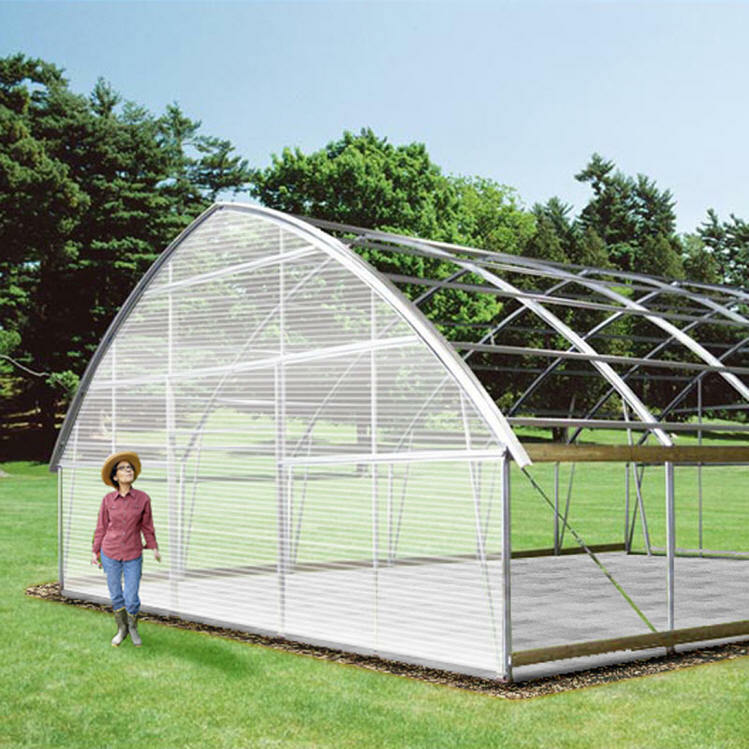 We can manufacture virtually any length greenhouse. 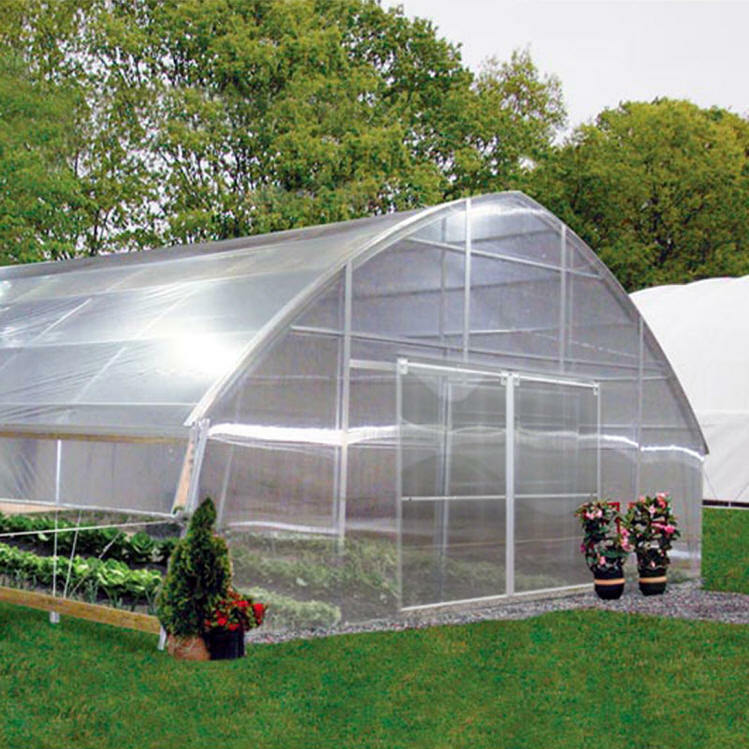 Double-Layer Film Greenhouse comes with either Roll-Up or Drop-Down Sides. 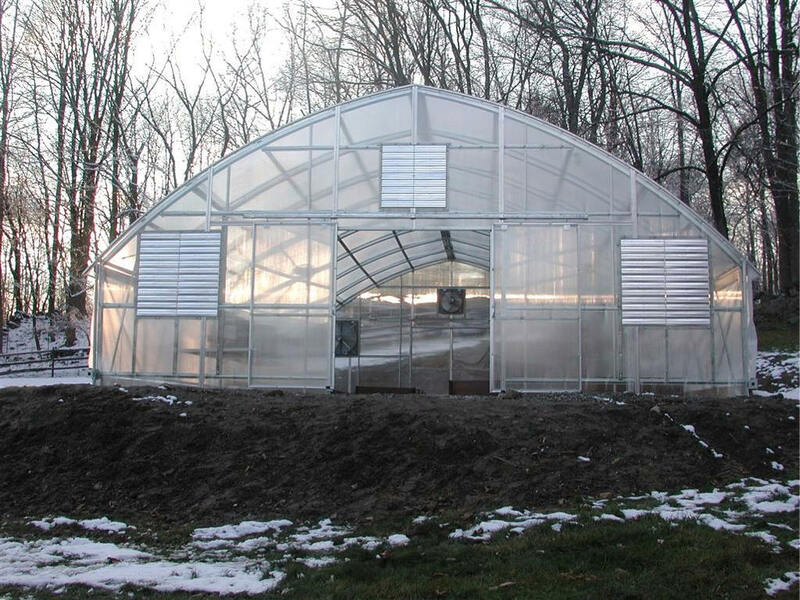 Our exclusive double-layer, 6 mil 4 Year Clear Greenhouse Film comes complete with Inflation Fan Kit that allows for superior heat retention. 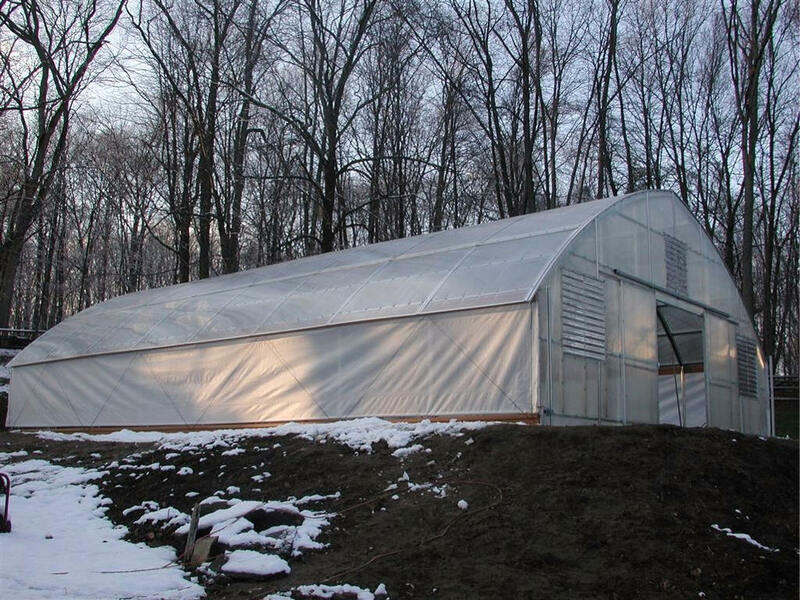 Choose either Roll-Up or Drop-Down Side Options that will allow you to better control the ventilation within the greenhouse. Both Roll-Up and Drop-Down Sides include our exclusive "Twist-of-the Wrist" Assembly that comes complete with all necessary hardware. 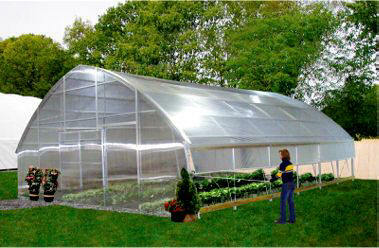 Roll-Up Sides utilize our 6 mil 4 year Greenhouse Film. Drop-Down Sides are manufactured from our 5.2 oz. Clear Greenhouse Fabric. Rafter spacing: 6'. Sidewall height: 6'. 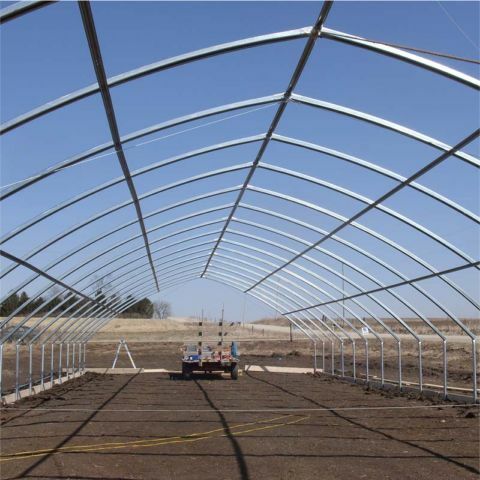 30'W and 35'WGreenhouses are 14'8"H.
Heavy-duty ground posts or mounting feet, depending upon your application, are included. To learn which anchoring system will best suit your needs, please Contact Us. 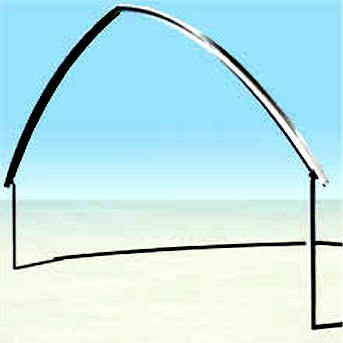 Optional Steel End Frame Kit, additional Rafter Kits, Polycarbonate Doors and End Packages are all available. Customize your Roll-Form Building to your exact needs. 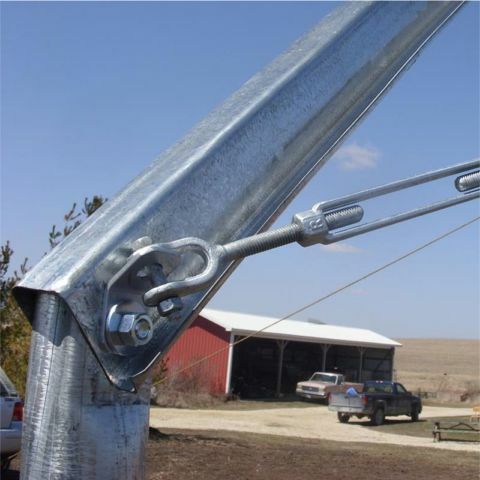 Premium, galvanized steel end frame kits allow you to add strength and durability to your building's ends. The perfect option for adding roll-up doors (sold separately). Suitable for both 20'W, 24'W,30'W and 35'W buildings. 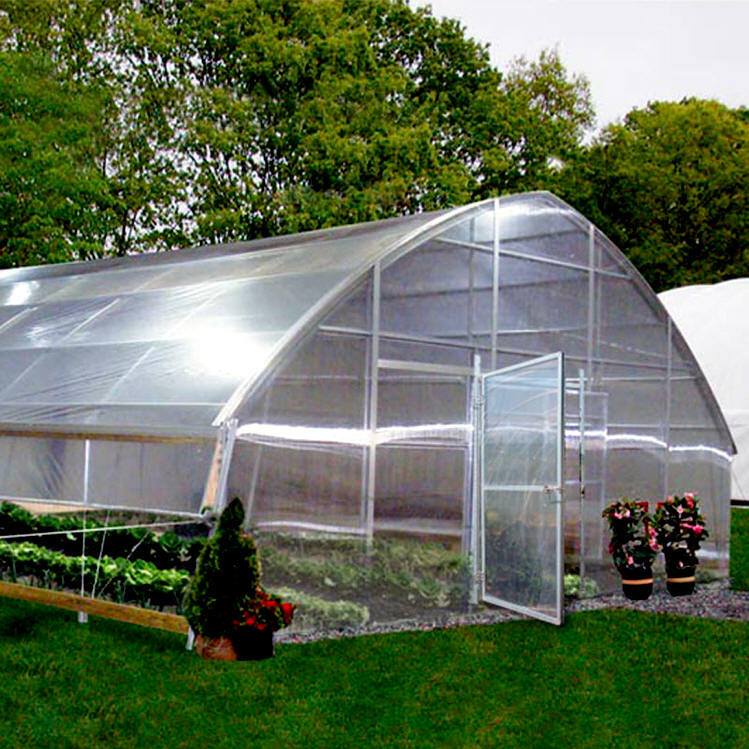 Greenhouse Doors are 48"W x 92"H, in single or double style - and include all necessary hardware for installation. 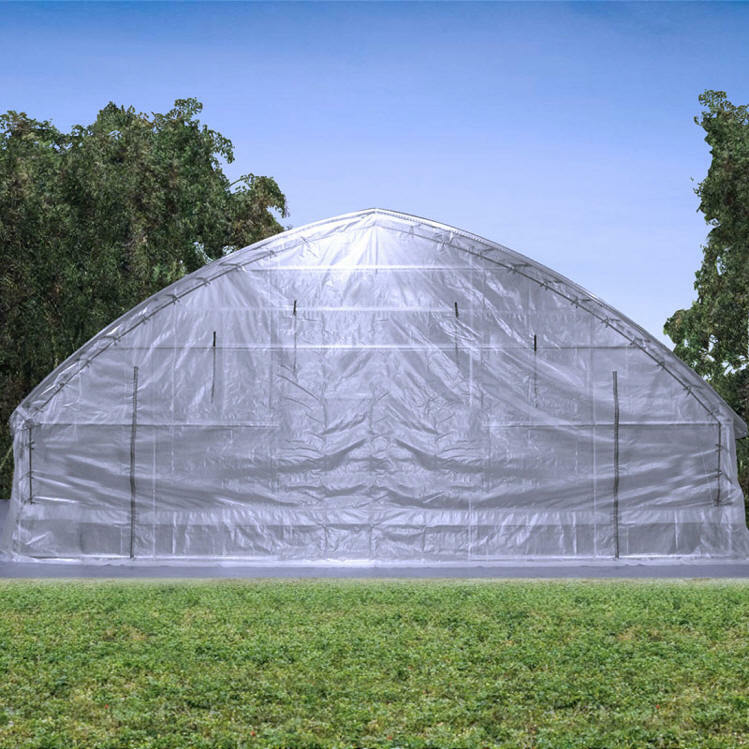 Customize your Gothic Poly Film PRO-GRO Greenhouses to suit your exact needs. 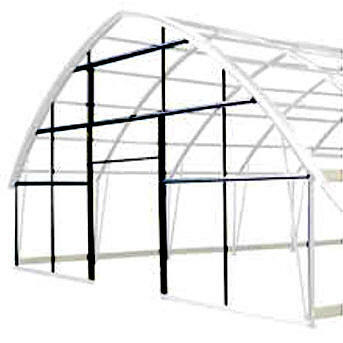 Customize your 20', 24' ,30',35' Wide Roll-Form Building or Cold Frame to your exact needs with our optional 20', 24' ,30',35'W Rafter Kit. Premium, galvanized rafter kits allow you to add strength and durability to your building, especially in heavy snow areas. Also used to lengthen the size of buildings and cold frames.